Freeview launched at the end of October 2002, with its original logo and a basic selection of free-to-air TV channels rising from the ashes of ITV Digital. Back then, Freeview was just a provider of linear TV channels broadcast digitally through an aerial. In the beginning there was no 7 day EPG or any official Freeview recorder. And while integrated digital TV's did exist in relatively small numbers, this first Freeview logo was mostly attached to simple TV converter set-top-boxes. By the end of 2006, the service had grown substantially and had gained extra services from ITV, Channel 4 and 5. The logo was tweaked, and we got a Freeview's answer to Sky+ : Freeview Playback - the first time devices able to record digital terrestrial TV were brought together under a single brand. In 2008, Freeview Playback became Freeview+. At the end of 2009, trade tests for Freeview HD commenced at the Crystal Palace and Winter Hill transmitters. 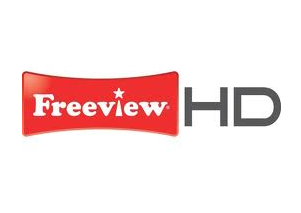 Then at the end of March 2010, Freeview HD was officially launched to the public. With it the very important 'Freeview HD' logo - the thing to look out for in determining whether your TV is just HD ready or can actually receive high definition broadcasts through an aerial in the UK. In the era of internet delivered content, the organisations behind Freeview are pushing their latest product: Freeview Play. Freeview Play is Freeview HD with catch-up / on-demand TV, ensuring the prominent position of PSB catch-up services iPlayer, ITV Player and 4oD's replacement, All 4 in its menus, unlike some other devices with catch-up TV. The latest re-brand ditches the reference to a transmission tower in the "i", and introduces an abstract zig-zag F, which could look like a TV aerial, or the zig zag of a broadband line down which your catch-up content arrives. The new look is being rolled out across all of Freeview's suite of products and marketing. As with other art works, a lot of discussions around at the moment trying to interpret what it means...! And if you have your opinions on the logo and what you can see in the "F", do join in. Comment here (if you have a Google account, which you will have if you've got an Android phone, use Gmail etc) or tweet @a516digital.